Weekend Wrenching - Went Much Better! 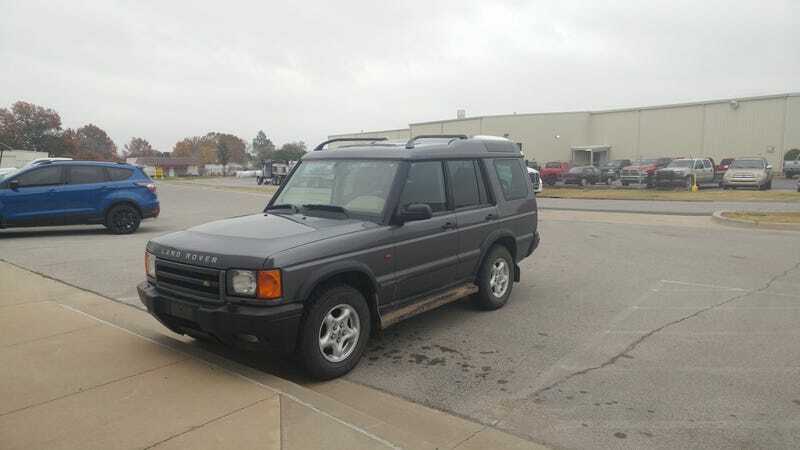 I mentioned in an earlier post, which was intended to be funny but apparently was just creepy and weird, that I managed to get the Land Rover back on the road, finally defeating my ABS problems and getting the driver’s and passenger’s locks working too. In addition to that, I’ve been making pretty OK progress on building trust in the Saab. It DID die on my on the way to run some errands, but that turned out to be a loose connection out of the distributor. Silly. The Saab is running OK. Good but not great. 6/10. It still doesn’t like to rev and has some odd lurching problems. I need to just keep driving it and see if things improve, but the desk-chair mechanic in me wants to fire the parts cannon and buy a new hall sensor and get the fuel distributor rebuilt. I also got the garage all cleaned up and swept out, so it is ready to have three cars in it again, rather than the one is has been housing. Aside from that, I uhh.. taught a class on wrenching? A couple of my friends thought it would be fun, so we put together a syllabus and held a 5 hour overview of how cars work. It went pretty ok, but I certainly had a massive case of imposer syndrome. Also did what I hope is the final audio balancing on episode two of the road trip video. All in all: good weekend. Would do again.